Aamir Khan, Salman Khan, Arbaaz Khan and Hrithik Roshan have one thing in common. They started their careers by learning the ropes of direction, before they faced the arclights. 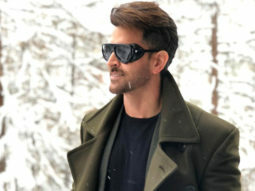 Aamir assisted his uncle Nasir Husain, Salman assisted Shashilal Nair, Arbaaz was an assistant to Mahesh Bhatt and Hrithik assisted his father in several projects before he donned greasepaint. This writer was the first to break the news of Amisha Patels brother nursing a desire to turn actor. The latest is that he has joined Vikram Bhatt as an apprentice and is learning the ropes of film-making before he faces the camera. Definitely the right way to climb the ladder, Id say.